Why do landlords need to complete an electrical inspection? The Consumer Protection Act affects all persons who let property in the course of their business because it defines them as "suppliers", i.e. they are supplying goods to the tenant. In summary, a landlord has duties both as a 'supplier of goods' and as the 'person responsible' for an electrical installation. As a 'supplier of goods' he must ensure that goods are checked before the tenant takes them over and as a 'person responsible' he must ensure an adequate system of maintenance. A regular inspection programme is an essential part of any maintenance system. When do landlords need to complete an electrical inspection? 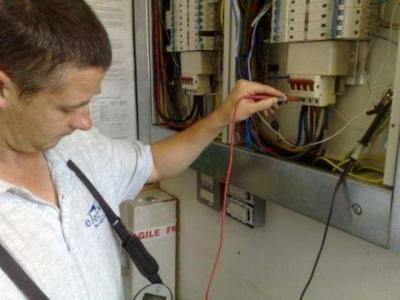 As a guide a landlord should initially have a full electrical installation condition report carried out on the property, subsequently when the property is re tenanted a visual condition report should then be carried out to ascertain if any damage or alteration has occurred. If the property is occupied by the same tenant for a long period of time then it would be recommended to have a yearly visual condition report & a full electrical installation condition report carried out every 5 years. As the age and condition of electrical installations are varied the above is a guide only.